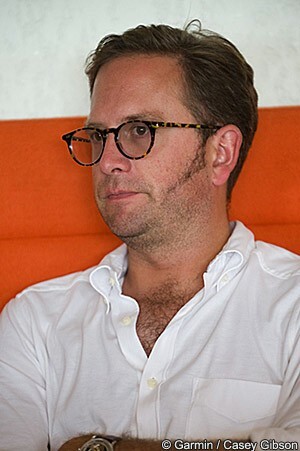 After years of hinting it was the case, former US Postal Service rider Jonathan Vaughters has admitted to doping during his career, saying that he was speaking about the topic now because it was important to keep the pressure on to clean up sport. The 39 year old American wrote about the subject in the New York Times and said that while he believed the riders of the modern era don't have the same pressures as doping is less prevalent, that it was important to learn from the past. Vaughters referred to his time growing up in Denver, Colorado, training hard and travelling long distances to racing in order to chase an ambition of riding the Tour de France. He wrote about becoming older and stronger, then reaching a point when a difficult decision had to be made at a point in time when blood-boosting drugs were having a very strong effect on the peloton. “Imagine you’ve paid the dues, you’ve done the work, you’ve got the talent, and your resolve is solid as concrete. At that point, the dream is 98 percent complete but there is that last little bit you need to become great,” he wrote of the crossroads he and many others faced. Vaughters argues that final two percent represents a very sizeable difference. He said that it is the difference in time between running 100 meters in 9.8 seconds and 10 seconds, in finishing first or ninth in the 100 metre breast-stroke in swimming, and between finishing first or 100th in the Tour de France, in terms of overall time. “If you just said no when the antidoping regulations weren’t enforced, then you were deciding to end your dream, because you could not be competitive. It’s the hard fact of doping,” he said, referring to the 1990s and early 2000s, when EPO use was particularly prevalent. Vaughters competed in small teams early on during his career but after a very strong 1997 season when he took a number of wins including the US national TT championships, the Mount Evans hill climb and the Tour de Beauce, he secured a contract with the US Postal Service team for 1998. He doesn't make clear when he began doping, but has hinted strongly in the past that he used EPO in 1999, when he broke Charly Gaul’s decades-old record on Mont Ventoux to win a stage in the Critérium du Dauphiné. He also finished second overall in the race. He left the US Postal Service team at the end of 1999, moving to Crédit Agricole where he raced between 2000 and 2002. Speaking about that point of his career recently on Twitter, he said it was a clean team and the lack of pressure in that respect gave him a chance to stop taking banned substances. He said that he eventually asked to be released from his contract because he realised that he was not able to perform at his previous level. Looking back, Vaughters argues that if anti-doping efforts were stronger and more effective at the time, that riders such as him would not have faced the same pressures as he did in the 90s. He said a different approach can create a better future. “The answer is not to teach young athletes that giving up lifelong dreams is better than giving in to cheating,” he wrote. “The answer is to never give them the option. The only way to eliminate this choice is to put our greatest efforts into antidoping enforcement. The choice to kiss your childhood dream goodbye or live with a dishonest heart is horrid and tearing. I’ve been there, and I know. Vaughters currently runs the Garmin-Sharp squad, which states that racing clean is a major goal. He is believed to be one of those who gave evidence in the US Postal Service investigation. The USADA case relating to that investigation is currently before a federal court in Texas, which has been asked to determine if it should go to arbitration. Vaughters is likely to be called as a witness if it does.